When I first began sipping coffee in the Ramat Eshkol Shopping Center on Jerusalem’s Paran Street about 25 years ago, it was not the bastion of mehadrin shopping that it has evolved into today. At the time, I lived in Yishuv Eli in Shomron and Ramat Eshkol represented the first Jerusalem neighborhood, perhaps the first oasis, a wealth of civilization, offering the niceties of life such as coffee, a Danish, some light shopping. Perhaps it was just a place permitted me to reflect back to my earlier days as a New Yorker. Simple as it was, it was the “big city” in those days. Amazingly, one of the original stores from the post 1967 Six Day War era, when the shopping area came into being, is Bambino stationary and toys, which is still there. The owner [who is the son of the fine gentleman from Argentina who was bold enough to open up in 1967 in the then-border community] still remains a friend and I never miss the opportunity to say hi when I visit the area, albeit infrequently. Anyway, today, the area has taken on a new style, at least from a kashrus perspective, a more mehadrin style shall we say – one seeking to cater to the influx of young married yeshivish families who now comprise a good percentage of the community. 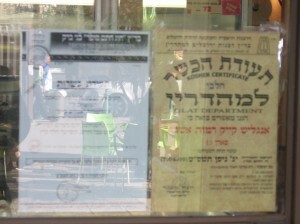 As a result, compelled by business smarts and simple economics, most of the primary restaurants have turned to legitimate mehadrin kashrus agencies, upgrading their certification. This however should not be interpreted as blanket statement of approval for the kashrus in the strip mall, which in some cases leaves a great deal to be desired. 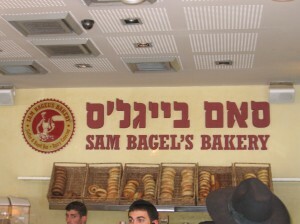 Let’s start from the end closest to the center of town, with Sam Bagels. 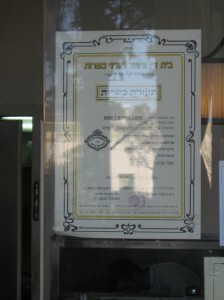 He is under the supervision of Rav Rubin Shlita, one of the more respected mehadrin kashrus agencies. The place of course is dairy. 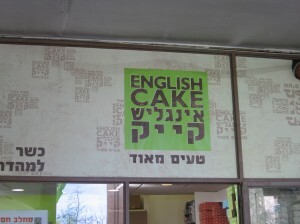 The next stop takes us to a branch of the English Cake bakery/café chain, which is under the Jerusalem Rabbinate Mehadrin. 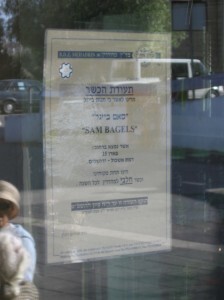 As is the case with the other stores, aside the kashrus certificate is a photocopy of a letter issued by the Badatz Chatam Sofer Bnei Brak, which while not visible from the poor photo I took, states the goods baked in a specific bakery are under the Chatam Sofer supervision. What does this represent for this store, ABSOLUTELY NOTHING but unfortunately, many shoppers, even in this chareidi area, assume this to be yet another level of kashrut. 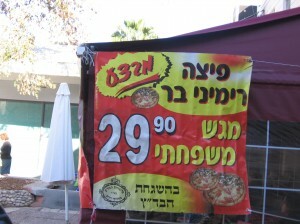 It in no way enhances the Jerusalem mehadrin hechsher which is the store’s only kashrut supervision. Some of the packaged items sold do contain mehadrin supervision while others do not. 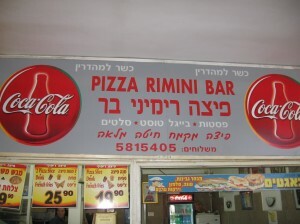 Forgive me if I do not remember the exact order of stores, but my next stop in this report is one of the veteran stores, Rimini Pizza, now under the supervision of Badatz Machzikei Hadas – Belze. Its immediate neighbor is another veteran store, Café Neeman, which has remodeled a number of times over the years, but remains under the same ownership. 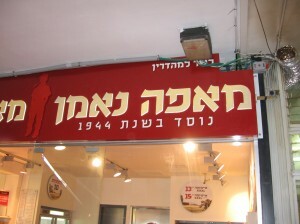 The store is under Jerusalem Rabbinate Mehadrin, as are a number of other branches in town. Here again there is a tricky one. 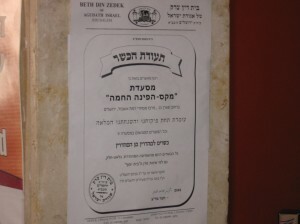 There is a letter from the Badatz Rav Yehuda Leib Landau Bnei Brak, one of the more upstanding mehadrin supervisions in Eretz Yisrael, which I personally saw shoppers interpreting as a superb hechsher for the store. Sorry folks, you must learn to read the Hebrew. Here too, it addresses certain frozen unbaked “dough products” that carry the high-level supervision under certain conditions, such as being unbaked, frozen, in sealed containers, bearing the agencies label. This hasn’t the slightest thing to do with any of the baked ready-to-eat goods and sandwiches being sold. The store’s supervision has been and remains Jerusalem Rabbinate Mehadrin ONLY. The letter even states that parve items have red lettering labels and dairy items, blue. It stresses that the Rav Landau agency takes no responsibility for anything going on in the store since it is not under the supervision of Rav Landau Shlita. 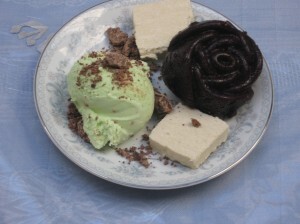 Eli Chaim Sweets – for those of you who read my Machane Yehuda report, this guy is bothersome wherever he appears. He sells nuts and seeds outside, an array of beverages and chocolates and much more inside, and he is in no way mehadrin. You must inspect each and every item. It is that simple. His presence in a primarily mehadrin strip mall in no way enhances his adherence to kashrus regulations and practices. 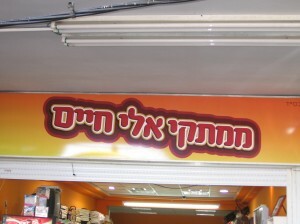 Almost forgot the meat place, the guy with the take home foods and shwarma, Ma’adnei Eshkol. He too has been there for many years, changing his look from time-to-time as well. 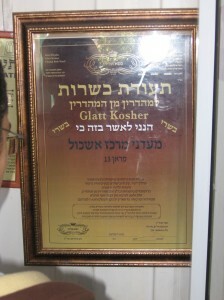 His store has a Jerusalem Rabbinate regular supervision, next to the impressive gold lettering on a black background certificate of the new Kisei Eliyahu bogus hechsher. The impressive certificate is all you get here. The fine graphics are in lieu of a mashgiach of a true mehadrin supervision, sponsored by our good friend from the bogus Keter Kashrut, Sami Mizrachi. You remember him, the guy who has schlepped the Rabbinate into the Supreme Court in a legal battle to keep his highly profitable kashrus business operational. If you check the group’s archives “files” section, you can see the Keter Kashrut and Kisei Eliyahu even have the same cellular telephone number for the contact. He did not even bother changing the number for legitimacy. 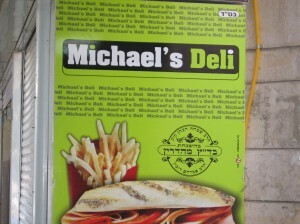 I saw Michael’s Deli with the symbol of Rav Rubin Shlita, but from the looks of the place, it appears his business did not succeed in riding out the recession. 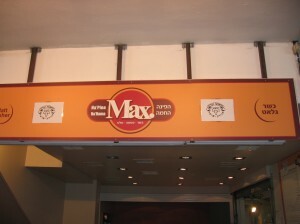 Then there is Max, a burger bar offering much much more. He is under the supervision of the Badatz Agudas Yisrael. 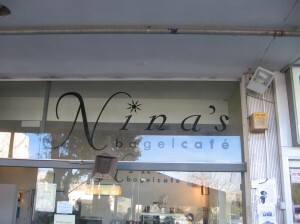 Last in the row is Nina’s, a quaint shop that seems to be struggling to define itself between bagels and a café, perhaps due to its location, somewhat out of the loop. Anyway, it is under the supervision of the Badatz Machzikei Hadas – Belzer Rebbe Shlita. Perhaps those of you who have read a number of my reports over the past year realize that I am not getting into the details of any of the stores. In this report, I am just clarifying the supervision of the stores, nothing more. I did not request to enter kitchens or see the operation but I feel that at the very least, you should realize the supervision for each store. The added photocopies, signs and whatever are meaningless, and in my opinion, are posted to confuse you into believing something exists that in reality does not. What was most disturbing for me was to see that even among the chareidi yeshivish community; shoppers are extremely careless and perhaps just not in the know. I did not interview anyone so I cannot say with a modicum of certainty. I did however observe young folks, who exhibited a ‘frum’ exterior, buying their dried fruits for Tu B’Shvat and other fine looking teats from tables set up outside. None of them carry any hechsher whatsoever, and some even had the now-familiar photocopied letters which in short, are not a hechsher and in fact, do nothing to ensure the kosher integrity of anything purchased. I expected better in this area but to my dismay, the people are simply not aware of the basic pitfalls and the need to read, read, and read, each time you enter a store. 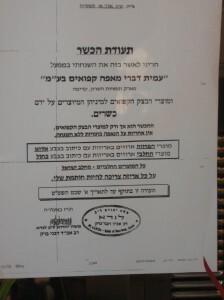 I hope that in the coming days I will be making my way to Geula and the area of The Mir Yeshiva. To my chagrin, I have learned that even in these areas, the bastions of chareidi living, there are stores operating without hechsherim, improper practices and who knows what. There is always someone, those lacking scruples and a Fear of Heaven who are willing to dupe the consumer to make a living. I am not mentioning names until I see the situation first hand, although the folks who have fed (no pun intended) me information are folks that have always proven reliable, ‘on the money’ as the saying goes, but nevertheless, I do not report what I do not see, unless I state it as such but in this case, I too wish to get a close up look. In all honesty, I hope they are mistaken in this case but sadly I know they are not. With a constant prayer of seeing a better Kosher tomorrow in Eretz Yisrael, as well as an abundance of badly-needed rainfall, particularly in the Jewish Capital, I remain your agent [time permitting] to bring you the welcome and not-so-welcome kosher realities around town. For a first time, I am boldly including an ad below for the Nachlaot Experience, run by my wife Sharon and myself, one of our projects that assist us in funding our Shabbos guest program. 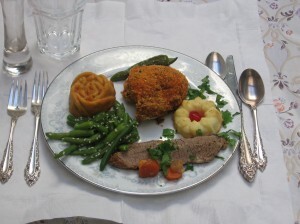 We merit feeding many many a Shabbat guest, which carries a hefty price tag. 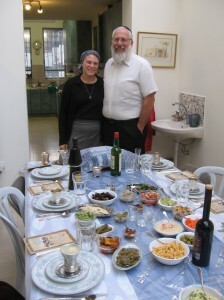 Sometime ago, we began hosting visitors from abroad along with the locals, permitting the visitors to save a considerable sum compared to hotel prices, and above all, enjoy a Shabbos Experience, not just a meal, an opportunity to meet our marvelous family, which includes young parents, the grandchildren of course, career IDF officers, bochrim learning fulltime, and just the plain old kids. 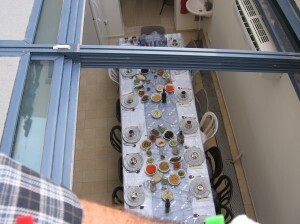 It’s pot luck who is home on any given Shabbos. We host an outstanding Friday night tisch in the heart of Nachlaot for those of you who may have grown tired of an overpriced and sterile hotel environment. 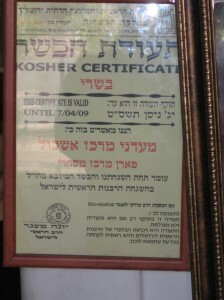 We DO NOT have a kashrut certificate. Quite honestly, I tried very hard to get one from the Eida Chareidit, OU and other agencies. Baruch Hashem, legitimate agencies will not give one in one’s home for many reasons, all correct and in compliance with the Shulchan Aruch. As such, if this is not for you, we understand. If it is however, we do not disappoint and I dare say the Spiras will bring you a Jerusalem Friday night to remember, mehadrin food with a super mehadrin atmosphere! 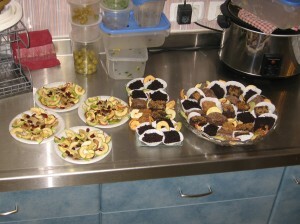 For a True Shabbos experience on your next visit to Jerusalem, visit the Nachlaot Experience. We host a Friday night tisch that will bring you spirituality, good vibes, and an impressive assortment of fine Shabbos dishes. We won’t disappoint. Posted on February 10, 2009 by JKN Israel. This entry was posted in JKN Alerts, Restaurants. Bookmark the permalink.